I love exploration in games. It was interesting for me to play around with modular dungeons (the Dwarven Outpost) because of how players can get to explore and learn patterns. So, exploration with some recognition built in. Learning these patterns lets players get to feel like they are learning the world. but what goes on inside varies. These dungeons should be made out of some type of material that the players will easily recognize, maybe alabaster, or whitewashed bricks or something. They are home to secret cults. The cult, trying to remain viable even in the event of partial discovery, has spread its operations out to multiple buildings. 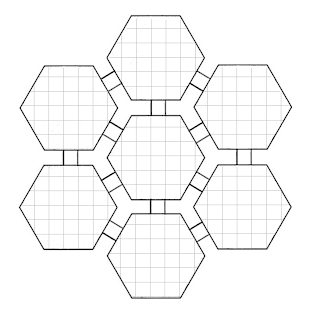 These underground hexagonal temples of hexagonal rooms are located roughly in a ring on the campaign map. 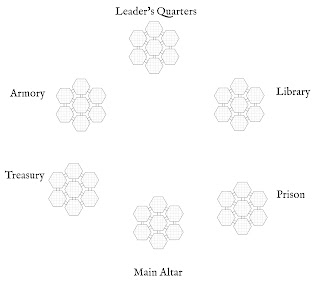 Now, the six rooms of each temple could be standard, with a barracks, mess hall, kitchen, ect. But the central rooms will have the bigger, specialized function. The library will have a place for the librarians to eat and sleep but the central room will be books and scrolls. The armory will have a place for the guards to eat and sleep as well, but the central room is all about weapons and sparring. 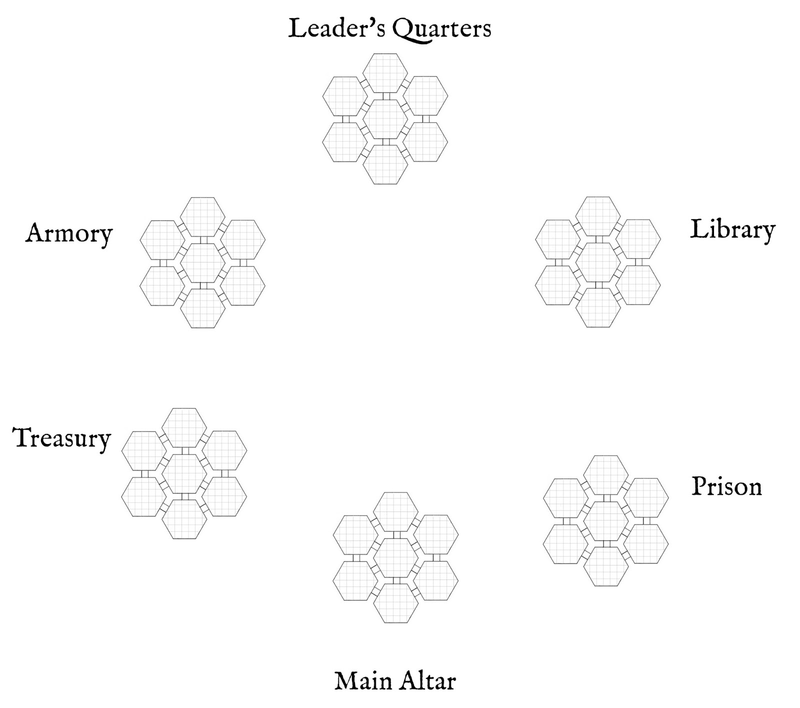 So, once players encounter this cult's temples (whatever cult it is, though I'm assuming it is fairly lawful), they will be able to learn several patterns. 1) the types of rooms in a temple, 2) the types of specialized temples, and I even think 3) the time schedules of the inhabitants of each temple. The cultists need to go out and recruit new members, they need to skulk about and maybe get food and supplies. So there should be some time of day that a percentage of the cultists will be gone from a particular temple. I think I will randomly determine this for each type of temple and then record it as a standard. So if I roll that librarians leave at midnight for book gathering missions, libraries for this cult will always leave at that time. 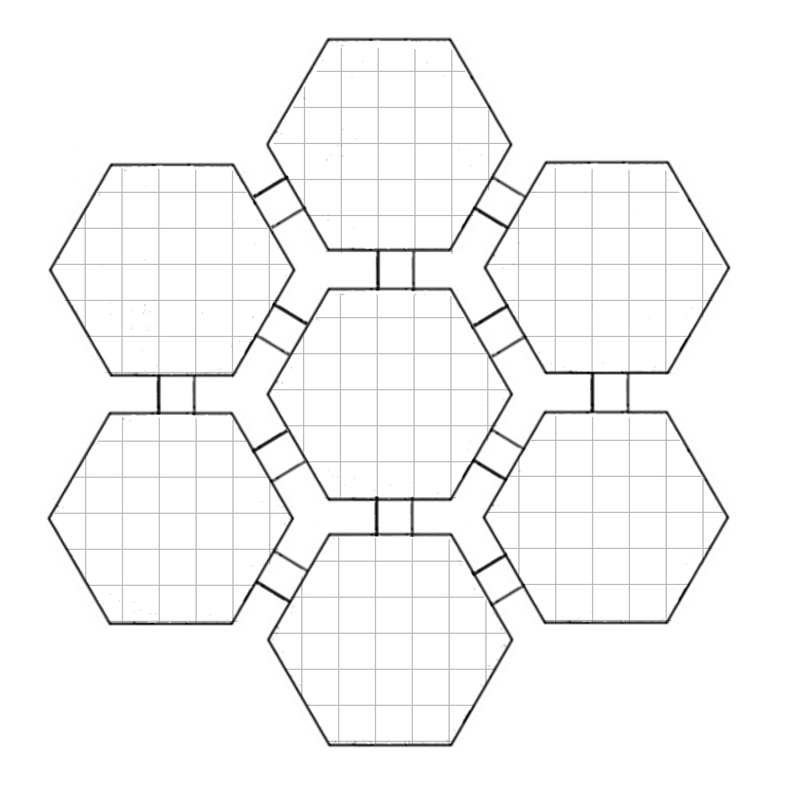 For this pattern learning by players to be relevant, they will need to run into these cult temple complexes several times in several different world locations. But I think that should be fine if other dungeons delves and adventuring is spread out between those discoveries. It seems to fit a secret cult's attempt to spread across your world, too. The interest of recognizing a pattern will always have to be balanced with the boredom of too much of the same thing happening. What I've written so far kind of assumes the players will want to root out the whole cult. But that doesn't have to be the case. Maybe they're on a mission to try and prevent someone from being sacrificed, so they just want to locate the prison or, if running late, the main altar temple. Maybe they just want to rob the treasury. That could still be interesting, with players discovering one temple, stealthily observing to figure out which it is, and then knowing approximately where their chosen target would be. I really dig this idea! You could pull a page from Fullmetal Alchemist's book and have the temples describe the circumference/points of a giant magic circle the cultists are planning to activate for some undoubtedly diabolical purpose. @Anon: Yeah, I was thinking of putting something important in the middle, maybe a bigger temple complex. But I like the idea of some gate opening in the center if you don't stop them.